Hello everyone, I know this is kind of a random post but I just had to tell you all about it, whether you’ve heard of it or not! It’s the TRESemme Split Remedy Conditioner. I picked this up in Superdrug since I’d run out of conditioner, I liked the sound of it, as it says ‘up to 80% reduction in split ends after 3 uses’. This is definitely no lie, my split ends get pretty bad and this just makes the ends of my hair feel like I’ve just had it cut. It leaves your hair so soft and silky, and the ends actually do feel repaired. From the conditioners I’ve used in the past that have said this, never really worked, so I was very surprised at this one. I do know that TRESemme have more products in this ‘range’, which I know for a fact I will be purchasing. I think they have shampoo, hair mask, serum, and treatment. 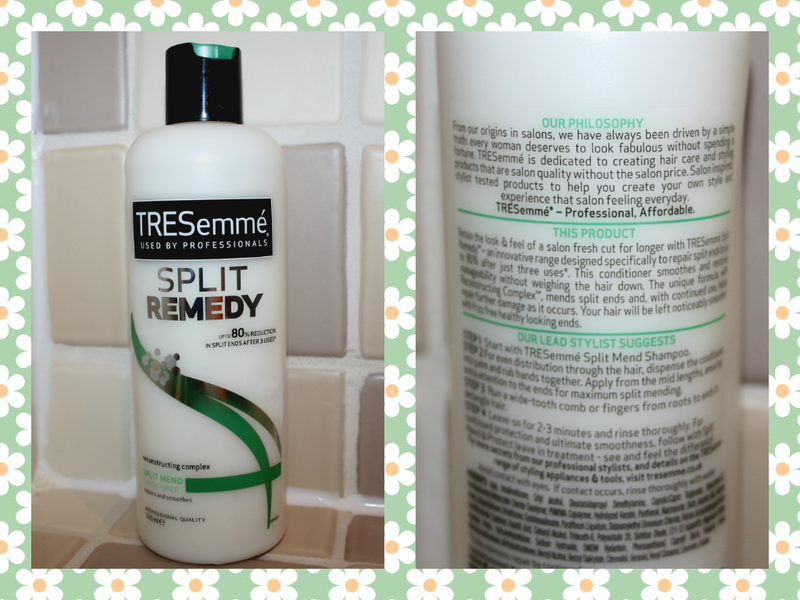 I always seem to forget how good TRESemme is because I’ll try different products but they definitely give the best results. Sorry if this was a random and slightly weird post but I just HAD to put it out there, I highly recommend this product and I think I’ll be using this for a while. (This was not a sponsered post by the way, just me raving about it)! Thanks for reading, please comment if you go and purchase this and also tell me what else you’d like to see on my blog!